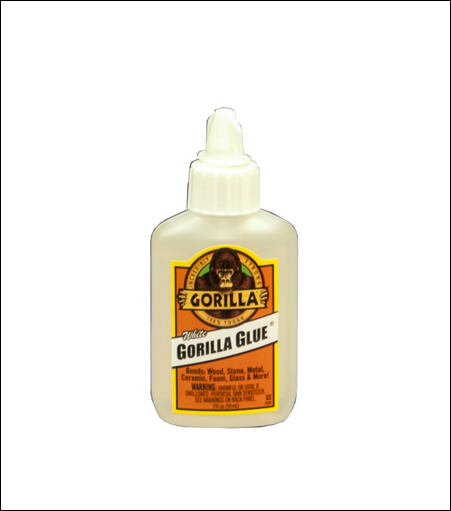 Gorilla® Glue Dries White, 2 X Faster formula is available in the Precision Glue Pen and 2 oz. bottle. It dries two times quicker than our brown formula. And that’s fast. Just 30-60 minutes clamp time. Plus, it dries to a soft white color, which makes it perfect for crafters, model-makers, woodworkers using lighter woods, etc. It’s also great for those quick fixes – and don't forget, you get speed without sacrificing Gorilla® Glue strength. Building, creating and repairing has never been easier. Try the fast cure, dries white formula and see all these benefits for yourself.